Eve: The world's first "model concierge"
To have models on demand. For most men, this is the hottie Holy Grail. The bosomy Land of Canaan. The great white buffalo of gams. 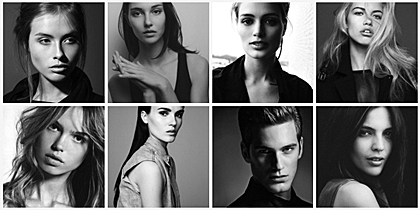 Introducing Eve, New York’s first ever “model concierge,” now accepting members. Works like this: you call Eve, you get an attractive young lady (or fella). Now don’t get the wrong idea. These are professional bookings. Eve is no mama-san. But Eve isn’t a traditional staffing company, either. With Eve, models are available at a moment’s notice for everything from, say, blackjack dealing to “atmosphere modeling” (see: arm candy). No bureaucratic layer cake of casting director/booker/manager/ agency. Once you’re a member, you just give Eve a call and she sends a thoroughly vetted looker your way. Often in as little as 60 minutes. And soon, you’ll be able to book directly from Eve’s smartphone app. However, Eve is only accepting 100 members in New York, so it behooves you to get in on the action now. We’re guessing demand will be high.